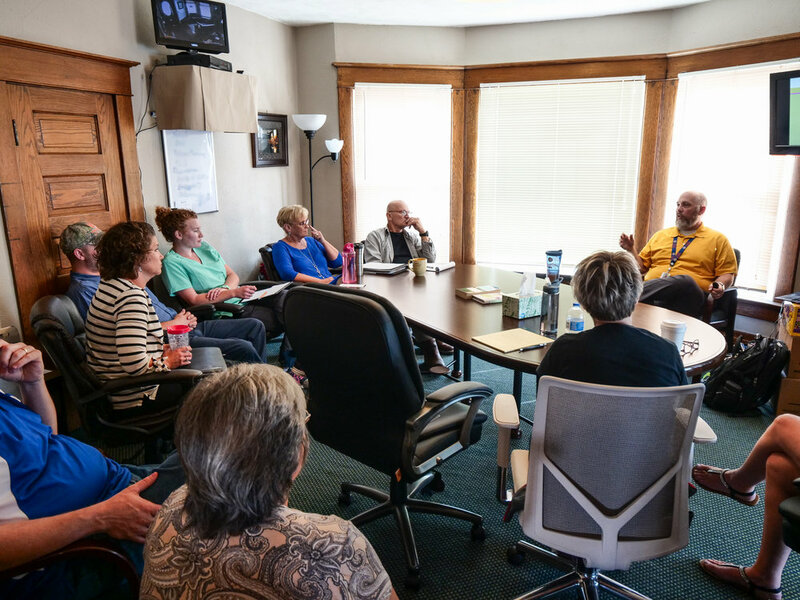 Christian Milovich from Oaklawn Psychiatric Center stopped by RETA this month to train our staff, and some spouses who work in security, on de-escelating agitated individuals. We learned how to help people who may be aggravated return to a calmer state from times of anxiety, defensiveness or total loss of control through what we say, how we say it and how we act while we communicate. It was important for us to remember to be calm when others have heightened emotions and if we are unable to do that, to tag out with someone else who is able to enter the situation with fresh eyes, ears and emotions. The most important takeaway from the day wasn't about a new technique we learned in helping someone return to a calm state, however. Our takeaway was simply to remember to ask people who look anxious how they're doing. We could save someone's life in the process. Keep your eyes open and your heads up.